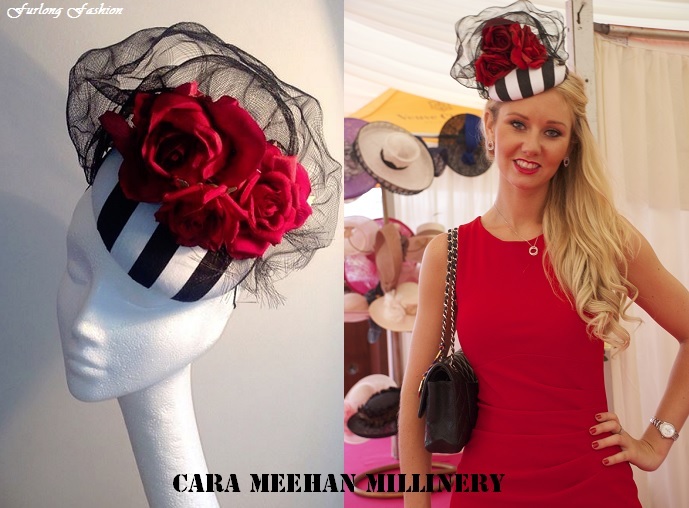 From the saddle to the studio - I catch up with up and coming Milliner Cara Meehan. I love featuring young talent on my blog as I believe everyone needs as much exposure as possible when starting out. With Doncaster St Leger only 1 week away I thought this was a perfect opportunity to introduce Cara Meehan. 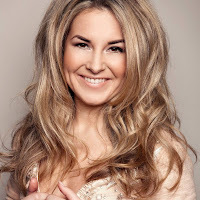 I was very fortunate to wear one of Cara's fabulous designs to York's Ebor Festival, it was a beautiful piece which really stood out from the crowd. I can't wait for the cold weather to really 'kick' in so that I can wear some of her Winter pieces which I have completely fallen in love with. Whilst a career working with horses was always the dream, working for acclaimed racehorse trainers Sylvester Kirk, Jonjo O'Neill and Andrew Reid as a groom, my aspirations to race ride was not part of the dream and I soon got fed up of the long hours, the cold wet Winters and the lack of privacy. I realised it wasn't for me so I started thinking of an alternative career. After a short stint in Nannying, I tried my luck at acting. I was lucky enough to star in several blockbuster films with the likes of Harry Potter, x men, fast and furious, several adverts and tv soaps. My passion for horse racing was still there and I continued to ride out regularly. I would attend all the major race meetings, from Meydan in Dubai to Glorious Goodwood, with Cheltenham being my favourite festival. I have always had a flair for fashion and would love to dress up for the race meetings with my friends. It was during this time that I noticed there was a gap in the market for original, fun, affordable hats and headpieces. There was no in-between the high street wedding tatt and the eye wateringly expensive designer hats. So i started making my own with revamped old bases and added pheasant feathers from the local shoot. Friends starting asking me to make theirs and I soon realised I loved making hats and had a real natural talent. I moved to London from the Cotswolds and started an internship with a great Milliner in Chelsea. I am a quick learner and was soon making small hats from start to finish on my own. My millinery skills were quickly improving and I was making my own hat designs in the evenings. I will be forever grateful to Lady Laura Cathcart, a fantastic traditional milliner who was patient enough to teach me everything I know. I am now at the exciting stage of launching my website and my first Autumn/ Winter collection. My collection is aimed at the upcoming National Hunt season, for ladies who want to look fashionable and elegant. My inspiration comes from traditional countryside pastimes with game bird and peacock feathers, in earthy colours, made from velour and fur felts and vibrant silks, every hat has added glamour and a contemporary twist. My observation from when I first started attending race meets was only a select few ladies would wear hat. Now when you walk in the owners and trainers bar at a big race meeting, you see all the women impeccably dressed with beautiful hats and headpieces adorned with glittered feathers, veiling and diamanté brooches. of girlfriends who each wore one of my designs. With Cheltenham races the majority of people are dressed quite traditionally with many opting for tweed. The tweed can look great if it fits well and there are so many options now available. A great place to buy is in the cheltenham tented village at the Open meet. But for me the ladies that stood out were the ones wearing hats that had a personality of their own. I was instantly drawn to them as they were to us group of girls. 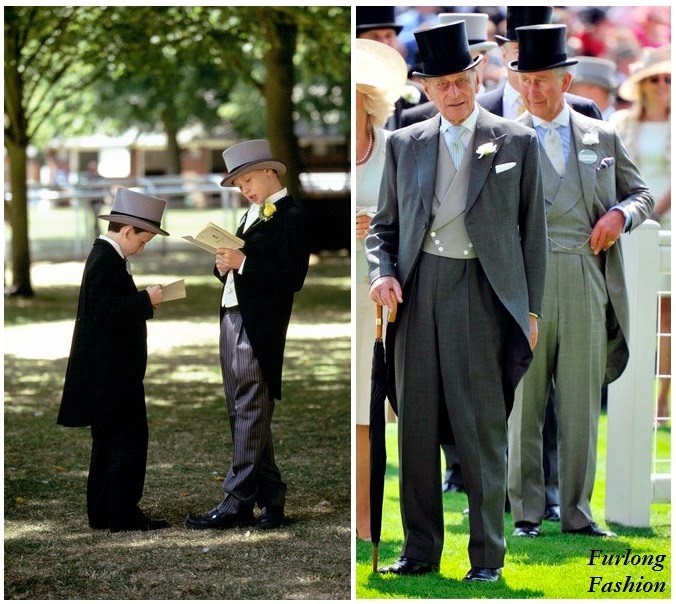 When you see someone wearing a beautiful bespoke hat you become intrigued by the wearer, you instantly want to know more about them. They become more interesting, they walk with confidence, and elegance. Most girls don't want to look the same as everybody else and the English and Irish girls definitely love to dress up. Hats are very individual and say a lot about the person that is wearing them. A hat is also great at finishing off an outfit or updating an old coat. In the future I would love to go into complete outfit styling as well as continuing to make the hats from start to finish. The dream is to one day own a boutique shop stocking dressy outfit choices, something for everyone and my hats to match. 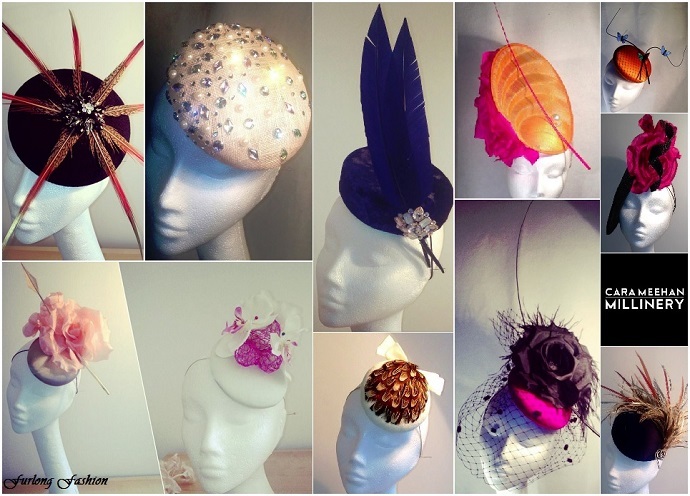 Since I started on my millinery journey at the beginning of 2013 I have been overwhelmed by the response to my hats, with over 45 orders for Royal Ascot alone, without even having a functioning website. It seems I am heading in the right direction with my handmade, high quality, unique and eye-catching designs. 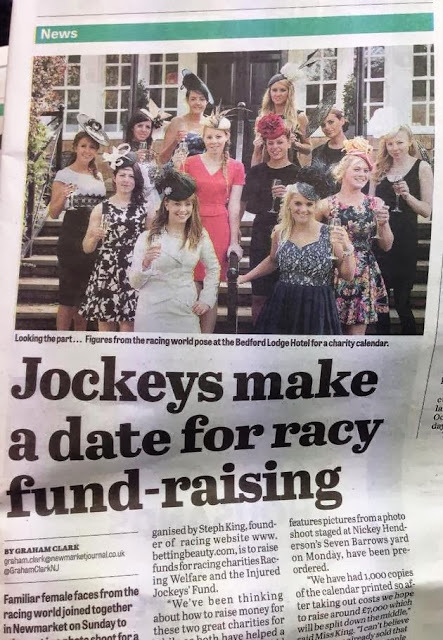 I would like to think I am racings to go to milliner, with many of my orders coming from contacts I have made through my time working in Racing. With recent orders from Lizzie Hughes and channel 4s Gina Bryce. You will soon be seeing my designs in racecourses up and down the country and even on your tv screens! On the website you will be able to view and order one of Cara's diverse ready-to-wear collection or nearly all designs can be made in any colour to complement any outfit. All you need to do is send an email with the subject heading - What Hat, a picture of your dress or whatever colour you’d like your hat made in and Cara will match the fabrics from there.